Victor Oladipo missed 11 games due to a right knee injury two months ago. Since returning from that injury, he’s been a top 65 player (19 games), averaging 17.3 points, 1.9 threeecolas, 4.9 boards, 5.8 dimes, 1.8 steals, and 0.2 blocks. The shooting efficiency was a putrid 40%. A far cry from the 47% efficiency and top 10 production from last season. His owners were not happy. Our very own “I Just Wanna Kawhi” couldn’t take it anymore and shipped him away last week. I need to hit him up for the upcoming Powerball numbers because his owners will no longer have to worry due to the injury Oladipo suffered yesterday. 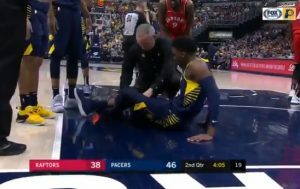 Defending a full court pass, Oladipo jumped and his knee gave out, the same knee that caused him to miss those 11 games. The trainers draped a towel over his leg and he was taken to the locker room via stretcher. Prayers up for Oladipo and his family. Since this is a fantasy website, we need to discuss who replaces him and how it affects the Pacers rotations. 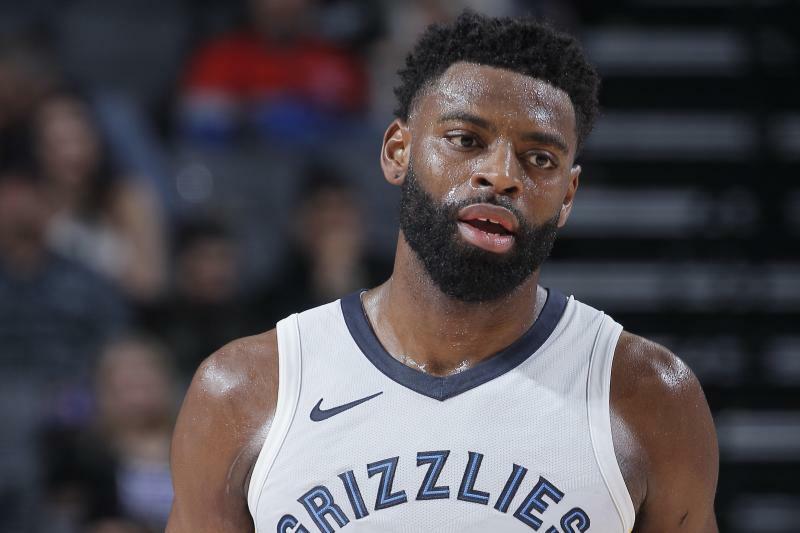 The most obvious replacement is Tyreke Evans, who was scooped right away in a few of the RCLs I’m in. Y’all are too sharp and fast on the draw. In 715 minutes without Oladipo on the floor, Evans has a 29.3% usage rate and produces 1.05 fantasy points per minute. The player that saw the biggest increase in usage with Oladipo off the floor, though, was Bojan Bogdanovic, with an increase of 2.1% to a 23.2% usage rate. Domantas Sabonis is the Pacer that scores the most fantasy points per minute at 1.39 with Oladipo off the floor. If you want to do a little speculating, Aaron Holiday could be a nice pickup. He’s played 275 minutes without Oladipo on the court and has garnered a 24.1% usage rate and scored 1.06 fantasy points per minute. Granted, most of that run came earlier in the year, as he hasn’t received 10 minutes of run in any game this month, but someone to keep an eye on. Anyways, hate to see injuries and let’s all send good vibes towards the Oladipo family. Oladipo Ho! Oladipo Ho! Oladipo Ho! Let’s recap the four-year Stan Van Gundy era in Detroit. One season above .500 (44-38). Three seasons with win totals of 39, 37, and 32 games. Acquired Blake Griffin and his five-year, $171 million contract for essentially a first-round draft pick and Tobias Harris, who put up 19.3 points, 6 rebounds, 3.1 assists, 1.2 steals, 0.6 blocks, and 2.2 threeecolas last season. Ricky Lake Griffin contributed 19.8 points, 6.6 rebounds, 6.2 assists, 0.4 steals, 0.4 blocks, and 1.9 threeecolas. In the 2017 NBA Draft, SVG selected Luke Kennard ahead of Donovan Mitchell. Shaking my head vociferously. His previous draft picks were Henry Ellenson, Michael Gbinije, Stanley Johnson, Darrun Hilliard, and Spencer Dinwiddie, who has turned out to be the best of the group but, of course, was traded for Cameron Bairstow back in 2016. Re-reading what I just wrote makes me think of a part from my favorite movie. There’s hope, though, as the Wicked Witch of the East….urrr….I mean SVG is dead. Not literally of course. For playoff bound teams, every win at this point in the season is huge. This was not only a big win for the Washington Wizards, it was avoiding a terrible loss. Yes, they are missing All-Star point guard John Wall, but the Boston Celtics were starting someone named Guerschon Yabusele. I did some digging and discovered that Mr. Yabusele, before donning a jersey and being announced with the Celtics’ starting five, was one of those giant security guards that stand at the bottom of each staircase with their arms crossed and their backs to the court during the game. In fact, prior to playing 18 minutes in last night’s double-OT loss against the Wizards, the most exciting thing to ever happen to Guerschon on a basketball court was high-fiving Marky Mark Wahlberg after a Kyrie Irving game winner. The Celtics may have ultimately lost the game, but to get as close as they did is a real testament to just how much the Wizards play down to an opponent’s level. I am pretty sure a Division II high school basketball team could take Washington down to the wire. Anthony Davis gave all his fantasy owners, and fans of basketball, a scare at the end of last week when he exited with a hand injury. His owner in one of my leagues immediately messaged, “Well, there goes Davis, probably season-ending.” Well, it wasn’t season-ending and he made it back just in time to play on his 25th birthday. Davis and his fantasy owners were celebrating in style as The Brow put up the rarest of triple-doubles: 25 points, 11 rebounds, and 10 blocks! Yes, 25 points on his 25th birthday is pretty friggin’ cool, but watching a guy block 10 shots and also hit a three pointer while only turning the ball over 2 times in 40 minutes is just plain amazing. His final line was: 1/25/11/3/3/10. Wow! 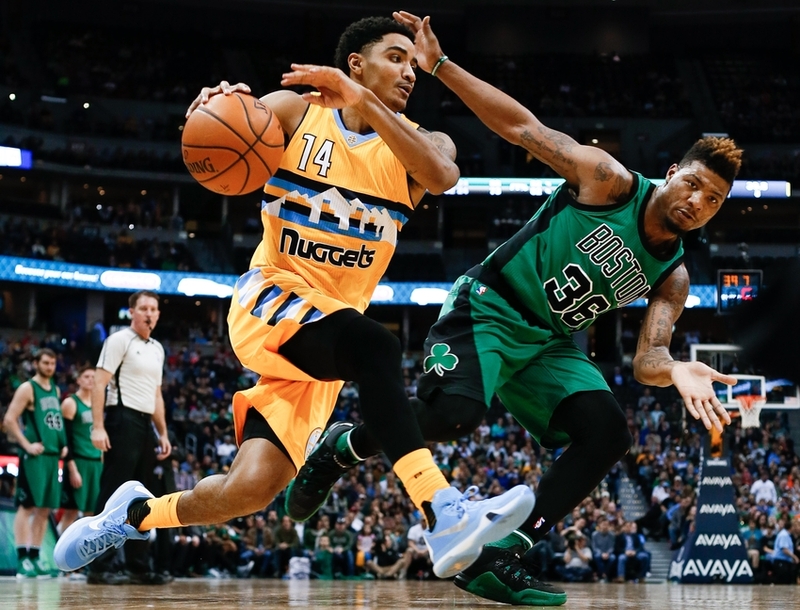 If you have been reading my recaps this season, then you know one of my favorite terms is: Waiver Wire All-Star. I use this to refer to players who started the year undrafted in almost every fantasy basketball league out there. Even in my deeper leagues Tyreke Evans was sitting there just waiting to be added by some lucky owner who is probably competing for a championship right now. A great draft is super important, don’t get me wrong, but it is these savvy waiver wire pick-ups that win leagues. ‘Reke has not only been a good pick-up, but he is returning top 40 value in most leagues. That means that a third or fourth round (depending on your league size) pick was just hanging out, playing video games, watching Netflix, waiting to get the call to the big show. Yeah, I hate that too! Anyway, here’s the slash: 3/36/4/3/2/0 on 14-of-17 shooting and 5-for-5 from the line. There will come a time when you look back and regret not taking the plunge and picking up a player, who at this point in time, is averaging just 10 minutes a game. That time spent on the court has amassed stats of four points and three rebounds on under three shots per outing. The thing is, if we dig a little deeper, over the last seven days, a span of merely three games, this same player is averaging 13 minutes per contest, with 7.5 points, 3.3 boards, 1 steal, and 1.3 blocks on 78% shooting. Come again…. 78% shooting? Yes sirs and small group of ladies.